The vast array of original Jones paintings and prints honor the strength, beauty and resilience of nature. The Jones family utilizes refined techniques and the magic of pure paint to express the natural world through their own special lens. Visit Jones Art Gallery to choose your favorite “Jones sky”!!! 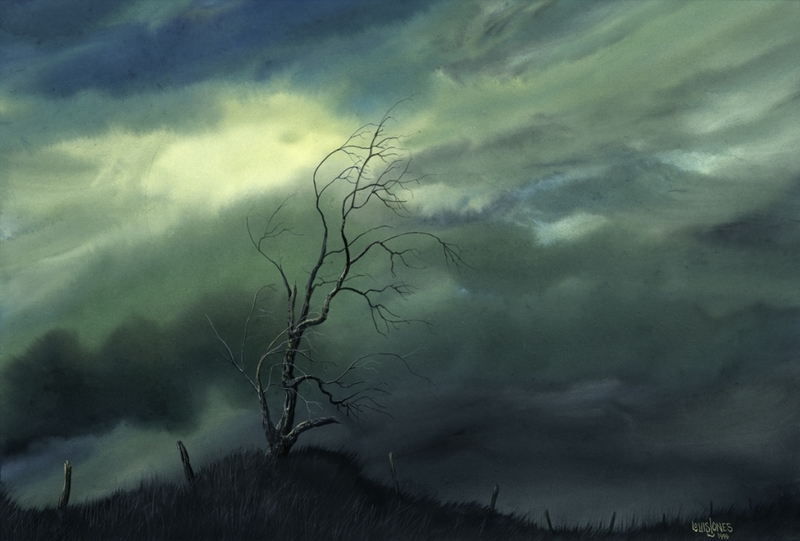 “Reaching” by Louis Jones, Giclee Limited Edition Print. Zara Sky, the newest member of the Jones family of fine artists, reminds us of the immense wonder and curiosity babies so readily embrace. Zara is constantly reaching for whatever her tiny hands can grasp–her Mom, Melinda’s hair; her Dad, Ryan’s paintbrushes; her toys; their dog, Maisie’s furry ears… She delights in so many textures, forms and colors already!!! 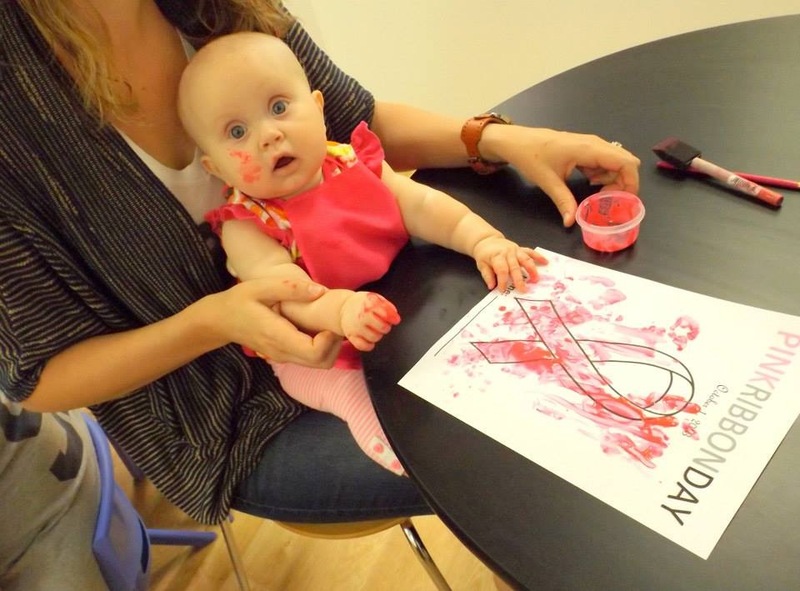 She has gotten an early introduction to painting, only finger painting so far, but she enjoys touching the paint and getting it on her fingers. Here she is at 7 months working on a pink masterpiece!! !